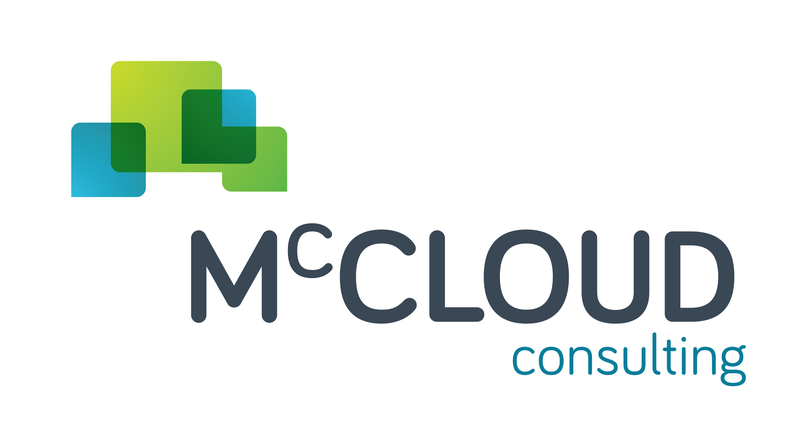 McCloud Consulting Pty Ltd is an Australian start-up consultancy focused on helping Australian businesses navigate the cloud with ease. McCloud is owned by enthusiastic and experienced IT professionals who – motivated by creativity and curiosity around new ways to do business – have swapped corporate life in the world of international businesses for the thrills and spills of running their own company. 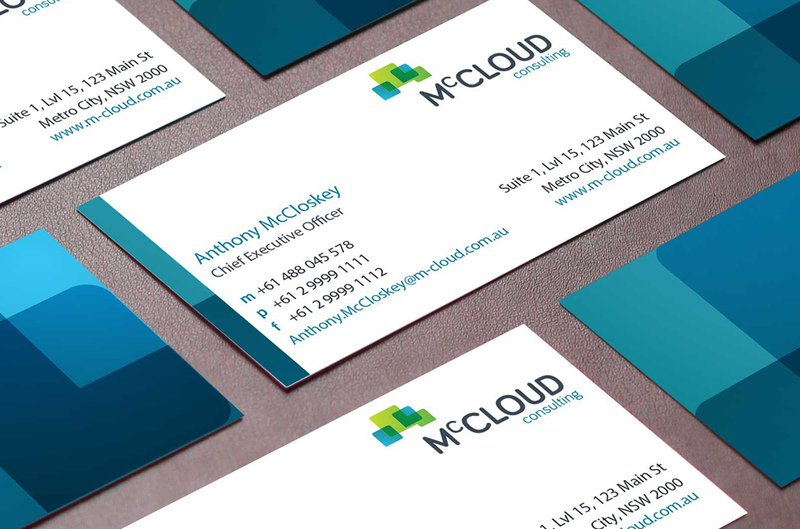 When McCloud needed a completely new brand with which to launch their new company, they tried several different designers which they had sourced via the internet. Dissatisfied with their experiences, they approached Brand chemistry for help. Although creating an identity for a start-up can be great fun, it can also provide some of the most challenging briefs. McCloud was no exception, as they needed a brand they could use from the outset, but hadn’t yet pinpointed the audience they wanted to target, nor the services they were to focus on. What’s more, McCloud found themselves in a quandary: they didn’t come across as ‘corporate’ as they wanted to appeal to SMEs, but on the other hand they didn’t want to appear too small as they wanted to be taken seriously by the enterprise sector as well. On a practical level, McCloud had a limited budget – like many start-ups – and needed the brief turned around in three weeks in the middle of Christmas break. They also needed business cards and email signatures produced but didn’t have their phone numbers and website sorted yet. This brief was going to need some surefire Bc ingenuity to get it turned around! The branding process started with a review of IT brands currently in the market, giving McCloud a birds-eye view of what was out there. Then Brand chemistry refined McCloud’s core values into three solid, compelling brand values which could be used as a creative platform to build the brand upon. The first iteration of the design process came up with a range of concepts, which was then refined down to one look and feel. A flexible, cleverly thought-through timeline – with deadlines agreed in advance – meant the project was delivered on time and on budget. "After a few dodgy starts with other companies, we were very relieved to have found Brand chemistry. It was obvious from the start that they knew their stuff, and they handled our brief with thoroughness, creativity and efficiency (despite the holiday season). We felt completely in the loop at all stages and the project was delivered on the date it was promised, and within budget with no nasty surprises. We love our new brand and can’t wait to show off our new business cards!" McCloud’s new look and feel is based upon a structured ‘cloud’ icon. The graphic shapes combine in a way that alludes to the cloud but with a more solid and businesslike look and feel. The solid colours and strong shapes are designed to depict a company that provides structure and security in a lofty industry that is often full of upstarts looking to make a quick buck. McCloud have ended up with a brand that is fresh and vibrant, yet also manages to be grounded, confident and contemporary: a great start for a brand with the attributes of ‘Solidity, Security, Quality and Success’. If you’re looking to make your brand and identity stand out from the crowd, get in touch today.